Make sure your business is heading in the right direction with our unique digital assessment tool. You can benchmark your digital progress across critical business areas, and immediately receive the results of this digital assessment to help you map further success in today's ultra-competitive, connected world. Simply answer a few questions to see if you're fully on track across your entire business. We'll ask you for a few personal details after the questionnaire. Choose a number between 0 and 10 on the sliders below. 1. Does your organization have a clearly articulated digital vision, strategy, owner and plan? Our Business strategy has our approach to digital strategy embedded within it and is regularly reviewed as technology and the business changes. 2. Is digital a board level topic in your organization? 3. Is digital an integral part of your business strategy? 4. Are you able to attract, retain and develop the talent that will drive your Digital strategy? 5. How mature and flexible is your Cloud Strategy? 6. Has your digital strategy led to greater innovation across your business? 7. To what extent are you transforming your business model to disrupt the market? 8. Do you have an innovation model implemented across your business through agile, cross functional teams? 9. Does your organization promote a collaborative partner ecosystem approach with an experimental environment? 10. Is your organization able to bring new products and/or services to market quickly? 11. Has your digital strategy helped you to plan for the entry into new markets and geographies? 12. Are you using analytics to provide you with a competitive advantage with clear baselined measures? 13. Has your digital strategy greatly improved your understanding of the needs of your customers and potential customers? 14. Does customer insight provide clarity for the decisions your leaders are making in your business? 15. Do you deliver a seamless, engaging and compelling customer experience across multiple channels? 16. Has your company's digital strategy delivered measurable productivity improvements within your the organization? 17. Is process improvement part of your organization's DNA? 18. Where are you on the journey to automate processes? 19. Are you using AI to deliver a step change in your business performance? 20. Do your employees have anytime, anyplace access to the tools and information they need regardless of location or device? 21. Has your HR strategy evolved in line with your Digital strategy? 22. To what extent has your digital strategy helped to manage risk for your business? 23. Has your digital strategy led to improvements in employee wellbeing? 24. Does your cyber security program apply industry standards and best practice as well as handling of employee data? 25. Are you utilizing new technologies such as wearables and augmented reality to help assure employee health, safety and wellbeing? Please leave us a few details. Just a few details, so we can send your free Digital Review. Congratulations on completing your digital transformation assessment! There are many opportunities you can address to gain benefits from a digital strategy, such as improvements in productivity through digitizing processes. In a recent research study conducted by Fujitsu, 90% of organizations said that they had a digital strategy in place and 46% of organizations have already seen results from digital transformation. This research shows that organizations are being driven by customers (58%), competitors (44%), partners and third parties (31%) and new entrants (26%) to address the opportunity of digital transformation. You can read the full report here. It’s time to start your digital journey. At Fujitsu we co-create with our customers, to help them succeed in delivering their digital strategy. Our XpressWay approach is designed to ensure you get best value from your digital strategy and we’d love to work with you to leverage the full value from the investment you’ve made in digital transformation. To find out more, visit our website where you can read the latest insight into Mastering Digital Transformation. We’d welcome a conversation with you, please contact us here. Congratulations! Your organization is clearly at the cutting edge of the digital revolution. You see how Digital fits with your overall business strategy and you are gaining considerable competitive advantage as a result. You are taking digital transformation seriously and have made significant commitments to delivering a strategy that ensures you reap the full business benefits of this step change. However, there are many opportunities you can address to gain benefits from a digital strategy. At Fujitsu we co-create with our customers, to help them succeed in delivering their digital strategy. Our XpressWay approach is designed to ensure you get best value from your digital strategy and we’d love to work with you to leverage the full value from the investment you’ve made in digital transformation. To find out more, visit our website where you can read the latest insight into Mastering Digital Transformation here. You are taking digital transformation seriously and have made significant commitments to delivering a strategy that ensures you reap the full business benefits of this step change. Based on your score we’d recommend that you maximize the benefits to your organization by taking some time to explore how digital transformation can enhance the understanding you have of your customers. 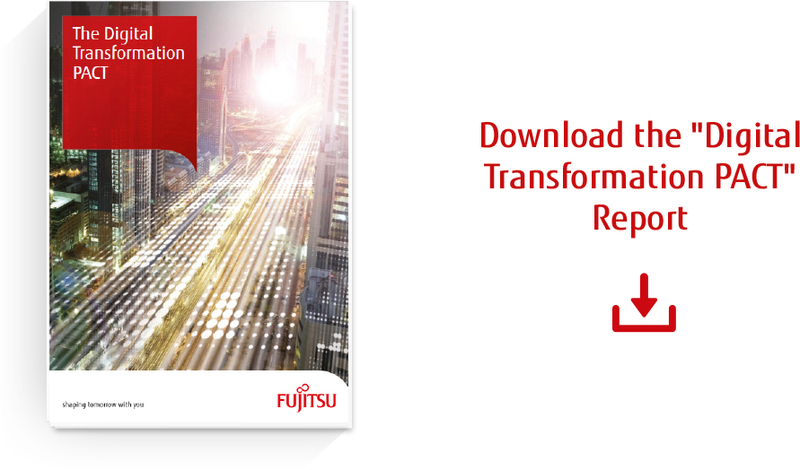 In a recent research study conducted by Fujitsu, 58% of respondents stated that customers are the main driver of their digital transformation. You can read the full report here. Customers have unprecedented choice over who they engage with and how they do it. In an increasingly digital era some organizations lack the customer knowledge needed to generate intimacy. Organizations that can deliver a highly personalized, compelling and consistent experience across all channels will achieve higher customer satisfaction and retention levels. In what are increasingly more competitive trading environments, this can give you the edge to achieve sustainable growth in revenue and profit. Through digital co-creation Fujitsu can help you to address your customer engagement approach. Helping cement your digital strategy to not just address your operational efficiencies but to enhance the understanding and relationship you have with your customers. We use our XpressWay methodology to quickly understand where you can implement change which will drive business value. To find out more about Mastering Customer Experience read our latest Essentials Guide here. Read our Essentials Guide to Mastering Customer Experience. Organizations need to ensure that they conform to both existing and emerging legal and regulatory requirements associated with modern business environments where the boundaries are being challenged by technological advances. The wellbeing of your employees has never been more important, with most organizations having a focus on Responsible Business. In addition, employees who feel safe and looked after are more productive. Take a look at our latest Mastering Wellbeing and Compliance Essentials Guide to help you take the next steps within your organization. We’d love to talk to you to introduce our XpressWay methodology to quickly understand where you can implement change which will drive business value. To talk to us please contact us here. Read our Essentials Guide to Mastering Wellbeing and Compliance. As digital is a journey there will always be areas where you can further leverage the benefits for your organization. Based on your scores one area we’d like to highlight to you is the benefit of addressing the hot topic of Enterprise Productivity as part of your digital strategy. In a recent research study conducted by Fujitsu, 86% of executives interviewed said that their company’s ability to change is crucial to its success in the future, with almost half (46%) of all organizations reporting that they’ve already delivered digital transformation projects and seen outcomes delivered from these. If you’d like to learn more please read the full report here. If you are interested in understanding more about Mastering Enterprise Productivity take a look at our newEssentials Guide. Find out how Fujitsu can help you digitalize with confidence and take the first steps on your journey to delivering real business value through digital transformation. We’d love to talk to you to introduce our XpressWay methodology to quickly understand where you can implement change which will drive business value. We’d welcome a conversation with you, contact us here. Read our Essentials Guide to Mastering Enterprise Productivity. You are on the Digital journey but there are one or two areas around Business Innovation with opportunities for improvement. A recent research study conducted by Fujitsu found that a culture of innovation exists in the majority of organizations (87%), but 68% say that a fear of failure is a hindrance to digital transformation and 72% of executives interviewed admitted that shadow digital projects are the only way that parts of their organization can achieve meaningful innovation. You can read the whole surveyhere. Organizations need to innovate to survive and thrive, particularly in a disruptive market with new entrants and competition. Rather than just optimizing what your organization does at the moment, undertake a step change. Promote culture-change initiatives, to shift the thinking not just at the top, but across the entire organization. Give employees opportunities, support them, and watch them learn and thrive. To create innovation with greater agility, look beyond internal resources and work with external partners, researchers, universities and startups. Consider leveraging the creativity and knowledge of ecosystems. Take a look at our newEssentials Guide to Mastering Business Innovation to help you make the right changes. Fujitsu can help you identify new business opportunities and co-create to help you Master Business Innovation. We can enable you to move into new markets, target new customers and offer new products and services by identifying business opportunities and creating new technology-enabled services to address them. We’d love to talk to you to introduce our XpressWay methodology to quickly understand where you can implement change which will drive business value. We’d welcome a conversation with you. To find out more, contact us here. © FUJITSU . All rights reserved. 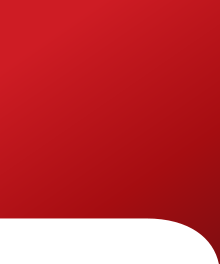 FUJITSU and FUJITSU logo are trademarks of Fujitsu Limited registered in many jurisdictions worldwide. Other product, service and company names mentioned herein may be trademarks of Fujitsu or other companies. This document is current as of the initial date of publication and subject to be changed by Fujitsu without notice. This material is provided for information purposes only and Fujitsu assumes no liability related to its use.